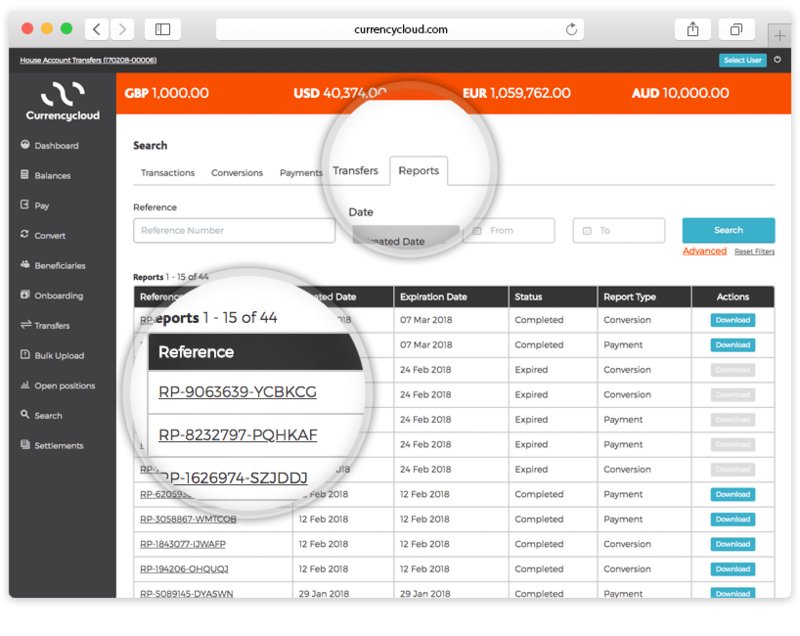 This new functionality offers the user the capability to extract information from the Currencycloud platform in a CSV (.csv) format. ● Read Report: This permission provides the corresponding users the ability to access the list of reports generated within their account. 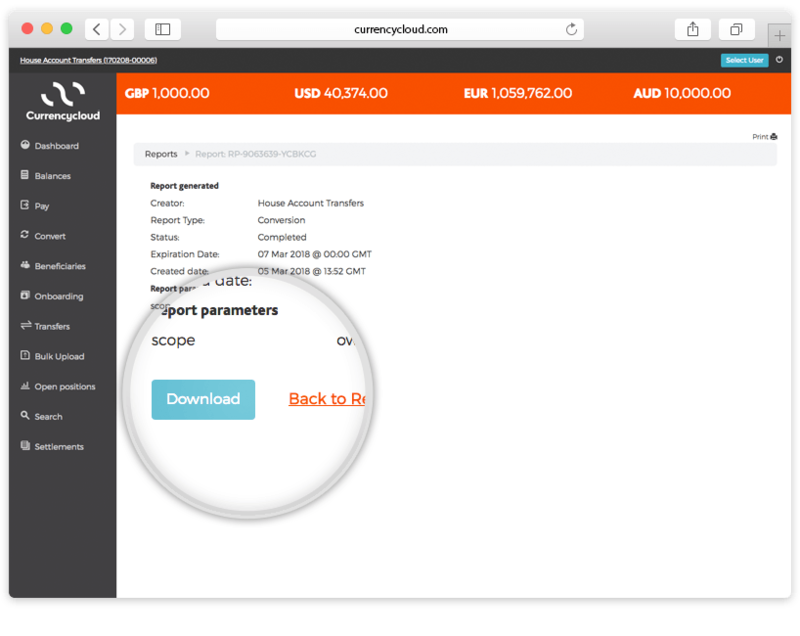 Report creation is initiated from the Payments and Conversions Search pages. 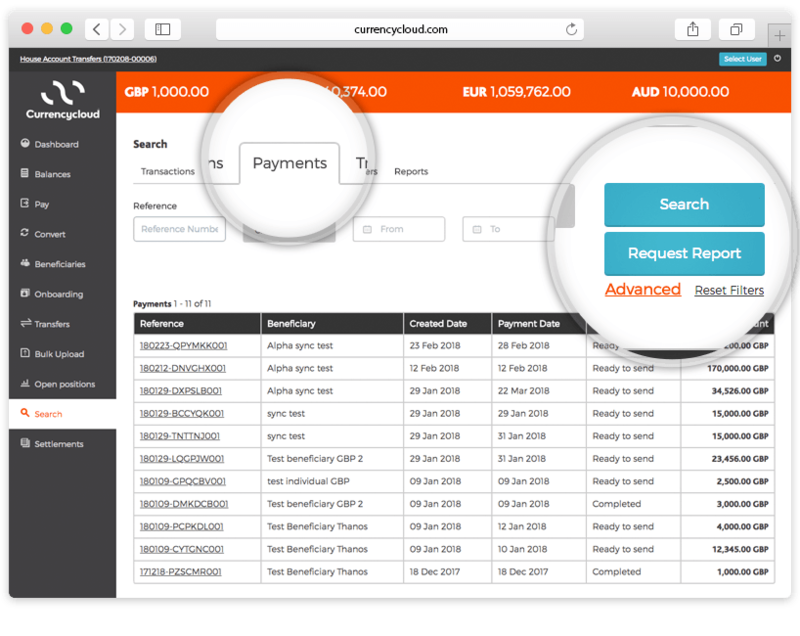 After performing a search for payments or conversions you can view the results on the screen. You can further filter the results by changing the search criteria and perform a new search by clicking on the “Search” button. To generate a report that includes the results shown on the screen, click the “Request Report” button. After clicking the”Request Report” button, a confirmation message is shown on the screen, and the screen refreshes to show the report request details. All the report requests submitted within an account are available under the Reports tab on the Search page of the application. Access to this tab is provided via the “Read Report” permission. The search fields on the top of the page can be used to filter the list of reports shown on the screen. If a report is in completed status, the file of the report is available for download. By clicking on the corresponding “Download” button the relevant .csv file is downloaded. By clicking on the reference of the report, the page with the details of the report is presented as shown below. Processing – initial state, which means that your request is processing (collecting data, generating report, storing report). 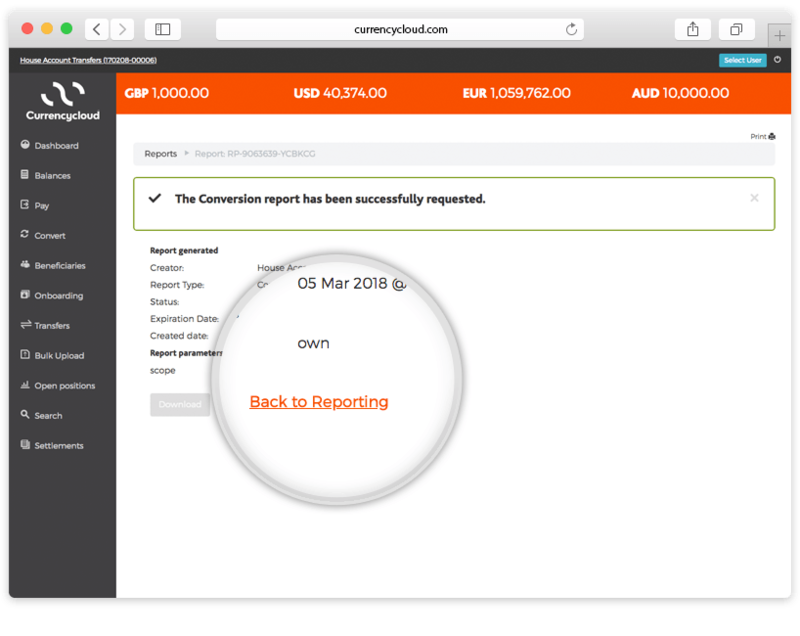 Completed – report in this state is successfully generated and contains a link to report. You can fetch it by ID and see all information related to this report and an url to download the CSV report. Failed – this state means that something went wrong and report generation was failed. CSV report link will be absent. Expired – when a report is generated successfully, it will expire after a day. Payment report files contain the following information in a CSV format. Conversion report files contain the following information in a CSV format.